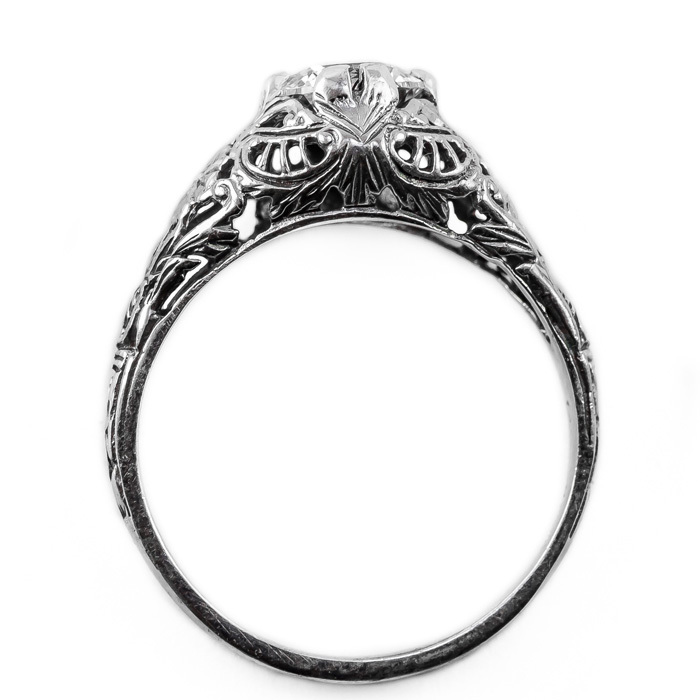 The hints of floral in this ring are details you do not see everyday. A vibrant arrangement of a blue topaz gemstone set in polished 14K white gold is more than gorgeous. 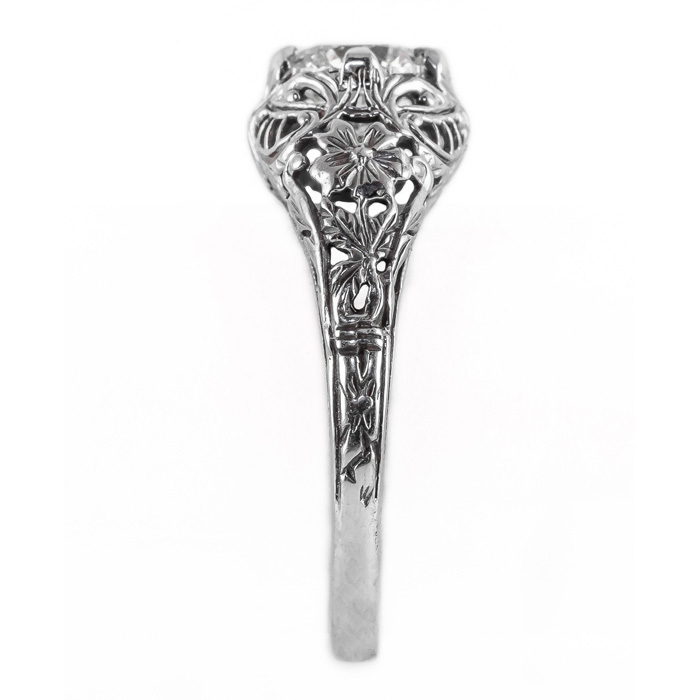 Apples of Gold are the jewelry industry experts and this ring is a perfect example of why their designs are known all over the world. By setting the blue topaz gem in polished 14K white gold and using Edwardian inspiration, they have created a show stopping piece of jewelry. The blue topaz gem is set in the center of the ring with a total measurement of 6mm. Order one today. 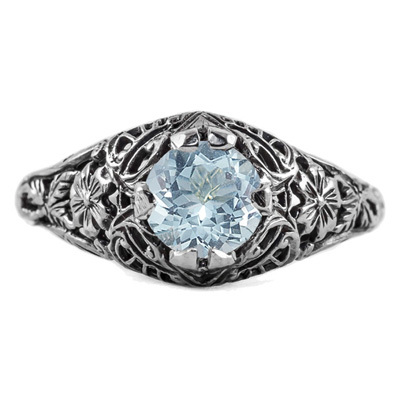 We guarantee our Floral Edwardian Style Aquamarine Ring in 14K White Gold to be high quality, authentic jewelry, as described above.